By Alvaris Falcon in Web Design. Updated on May 12, 2018 . In this showcase, we don’t want to show you the regular things. 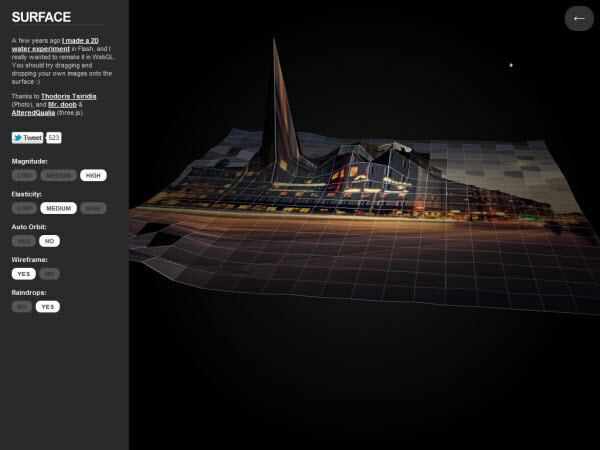 We want to showcase to you 30 WebGL experiments that are carefully crafted by professional developers for you to witness the true might of the WebGL which are not only inspiring but also let you have a glimpse about how the future of the web might look like. Jump into the future after click! You are strongly recommended to view these demos using the latest version of Developer version of Google Chrome. Most demos support the latest version of Firefox, Google Chrome and Safari, though. 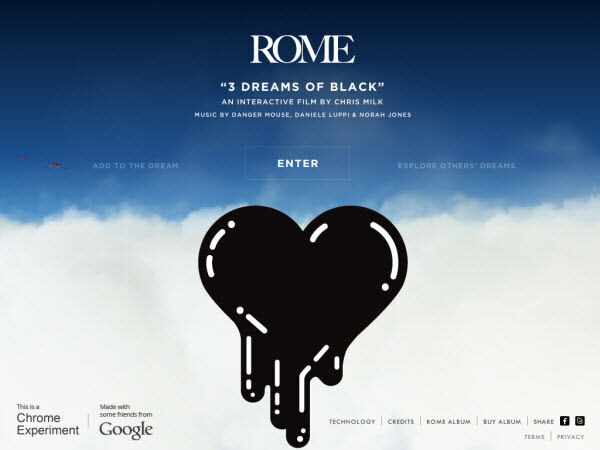 Authored by Google Data Arts Team, 3 Dreams of Black brings you into 3 dream worlds constructed through a combination of rich 2D drawings and animations interwoven with interactive 3D sequences. Check out the wonders for wonderful experience! 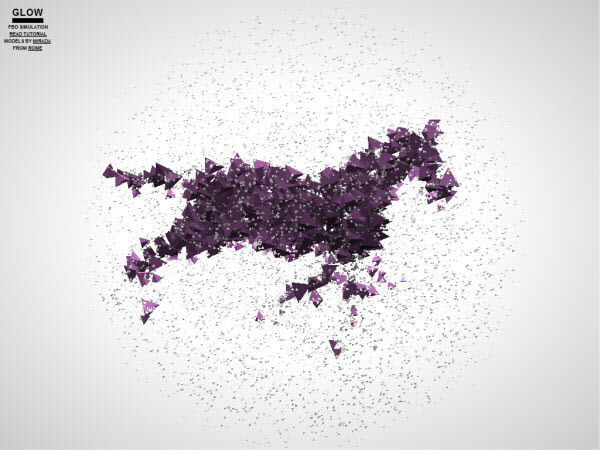 This one is really artistic – animated animals constructed by 3D particles using float textures and frame buffer objects. More surprise if you move the mouse! 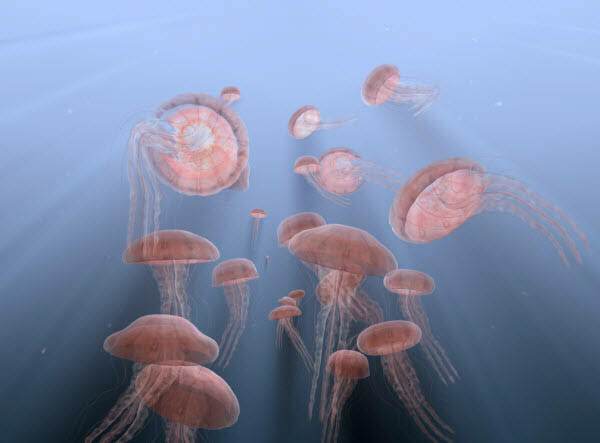 Simulate an underwater environment? That’s not a problem for WebGL. 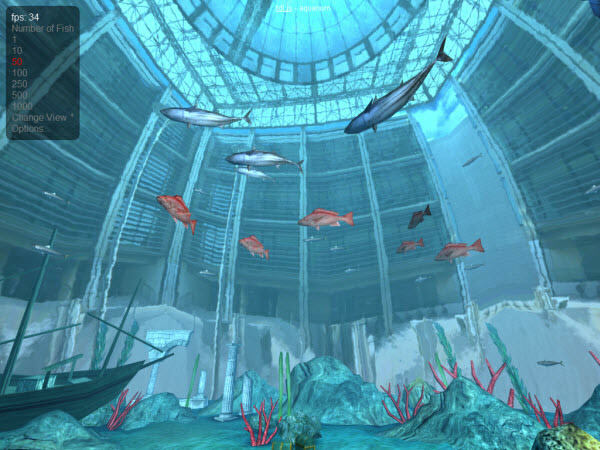 The demo features 3D models with high quality textures, scene animation, pixel shader animation, reflections, refraction and caustics, just everything to put up the realistic underwater scene! 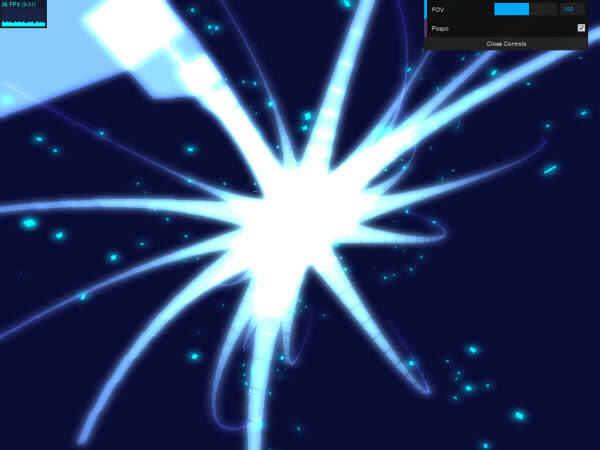 Probably the most epic WebGL demo, enough said. Hat tip to the author Jochen Wilhelmy. 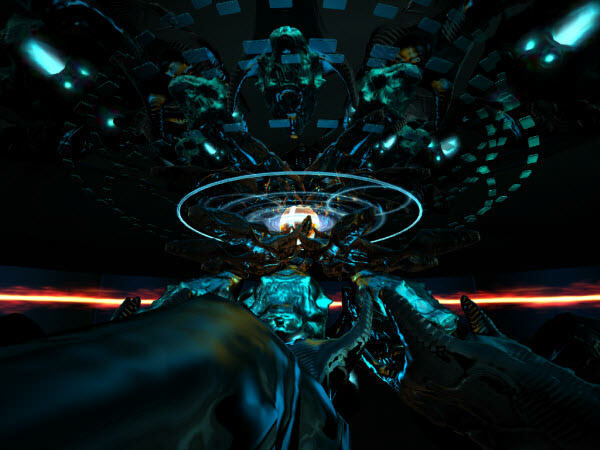 If you wanna experience the 3D this is the best demo for you, also get meditated with the immense beauty of WebGL-generated graphics using Martin’s Hopalong formula. This is not a regular animation demo, but it features dynamically simulated skeletons, partial server-side simulation and synchronization with WebSocket, camera-facing particle system, volumetric light effect, and Vladimir Vukićević’s mjs matrix library. 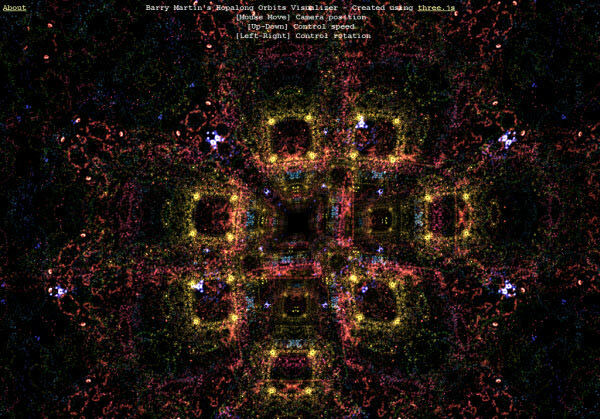 In short, an amazing experiment with complex works. 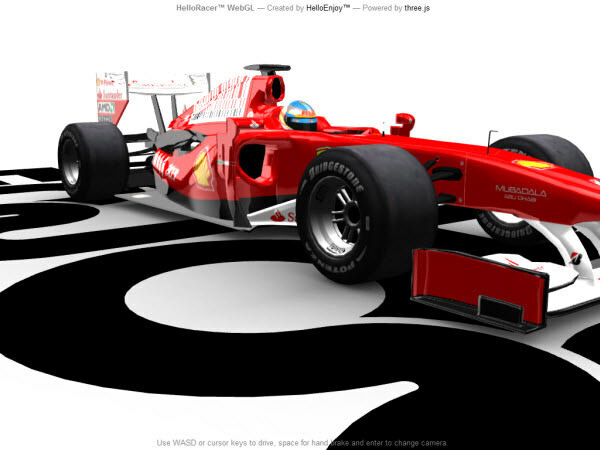 Introducing the high-end interactive car simulation, brought to you exclusively by HelloEnjoy. 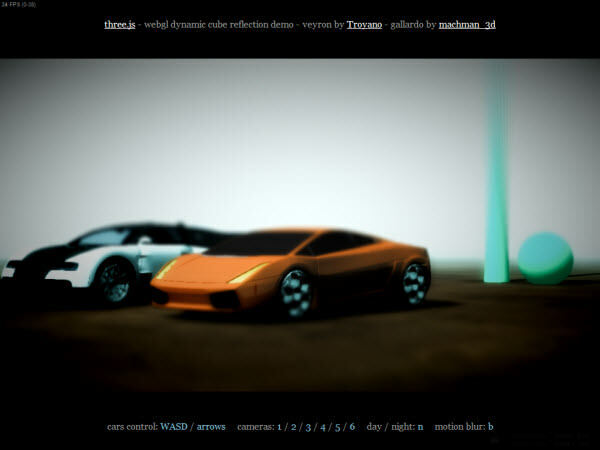 Bugatti Veyron, Lamborghini Gallardo, Ferrari F50 and Chevrolet Camaro in your browser. Pick your ride and enjoy the view. Heck, you can even choose their colors. The future of the Need For Speed series will be in web browser. Too ambitious? 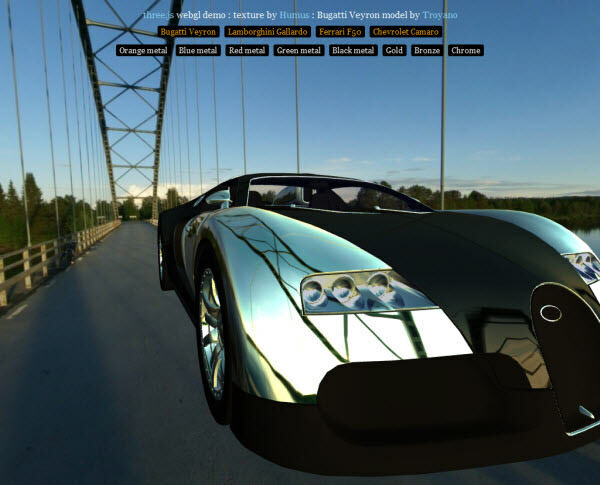 Certainly not if you have visited these cars that are rendered with dynamic cube maps, shadow maps and postprocessing effects. Well, if figure is not your favorite, then try to build cool and charming robot and show off to your friend! You can even spend your bucks to make it a real deal. 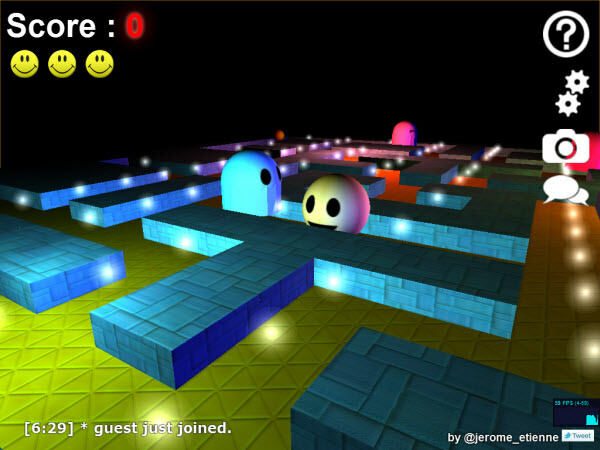 How about a 3D Pac-Man game? The graphic & gameplay are nice, and most importantly it’s fun! Now here’s a cute one… or bloody one. 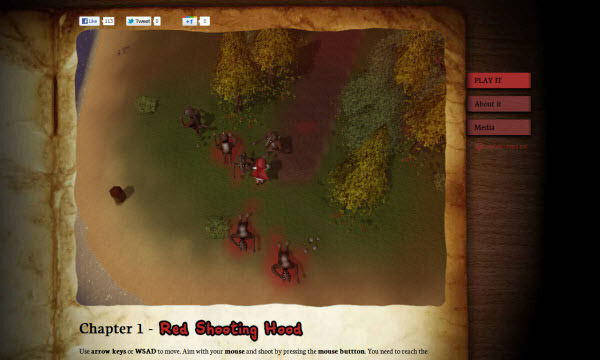 This one is nothing but an interesting game to show you the capabilities of WebGL when it’s developed into the top down shooter game. Fun and amusing for sure. You guess it, an enjoyable tank shooter game with weapons to use and maps to explore, and in some levels you can even get a helicopter to explore the world! It’s truly more than just a regular game, and the graphic looks comfortable! Best example of how simple graphics and animation can impress people when they are done right. 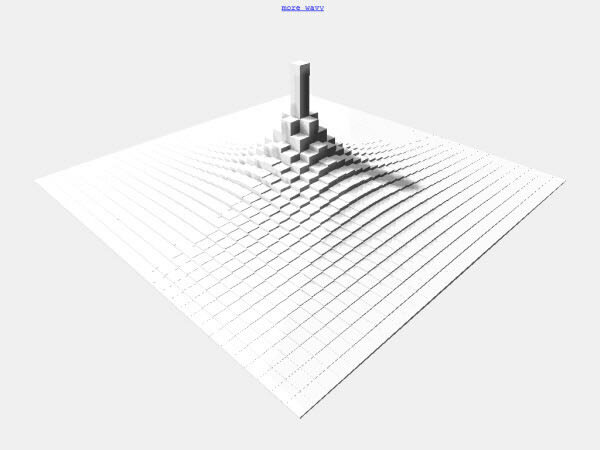 Check out the Surface, an elegant and inspiring experiment made by Paul Lewis. You can not only change the magnitude, elasticity, auto orbit, wireframe, and raindrops in the demo, but also drag-and-drop your own images into it to feel the effect differently. Just drop your favorite image into this demo and enjoy watching it explode into a ton of particles and get interacted with some form of magnetism. 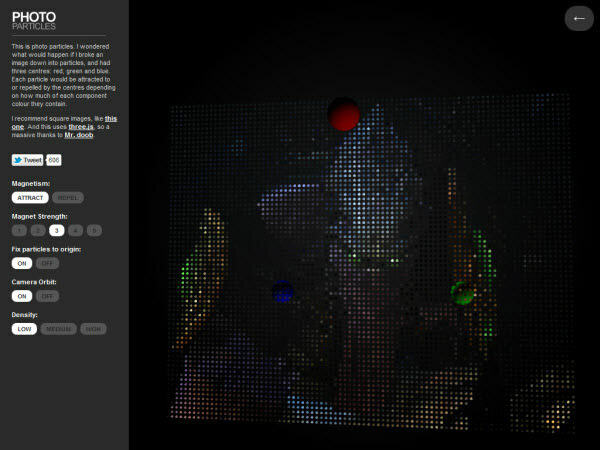 The experiment is a combination of four technologies: HTML5’s Drag and Drop, File API, Canvas and WebGL. 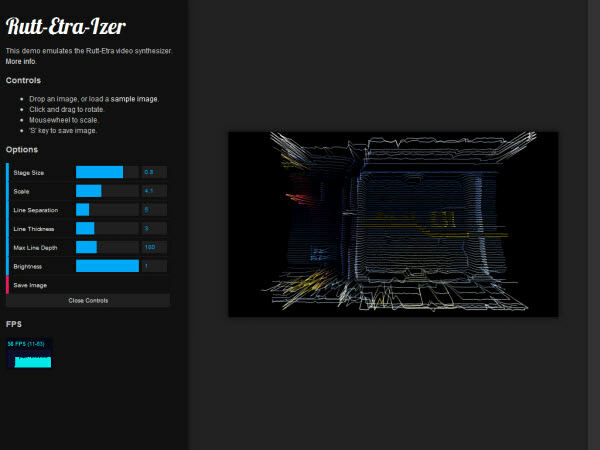 Rutt-Etra-Izer is a WebGL emulation of the classic Rutt-Etra video synthesizer. 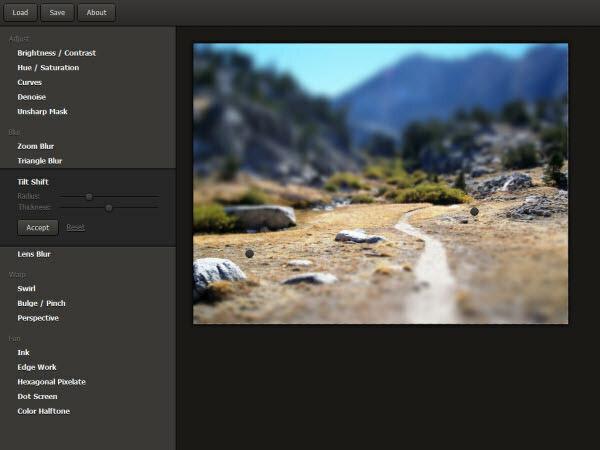 The demo allows you to put your own images inside and manipulate them. With this stuff, a 2D image can even look like a 3D! 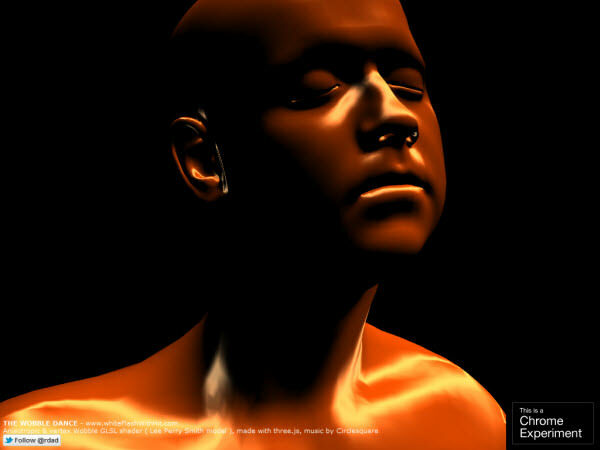 A simple yet noteworthy demo that shows how liquid the WebGL can be, with anisotropic light shader and wobble vertex deformation. 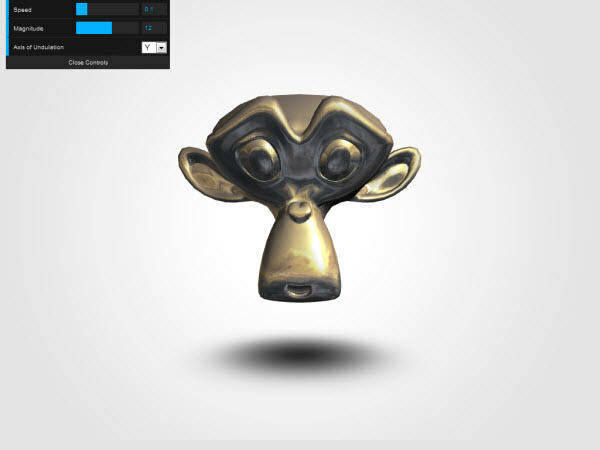 Another great experiment showcasing the potential of the WebGL. 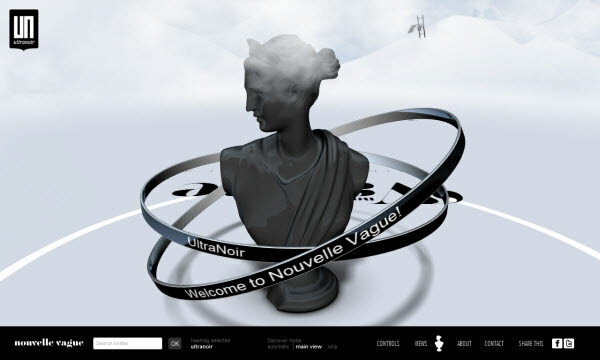 Nouvelle Vague offers a poetic and interactive real-time 3D experience based on Twitter, and what you see will be tweets that are carried out with different flying objects. Certainly an artistic way to enjoy the tweets. 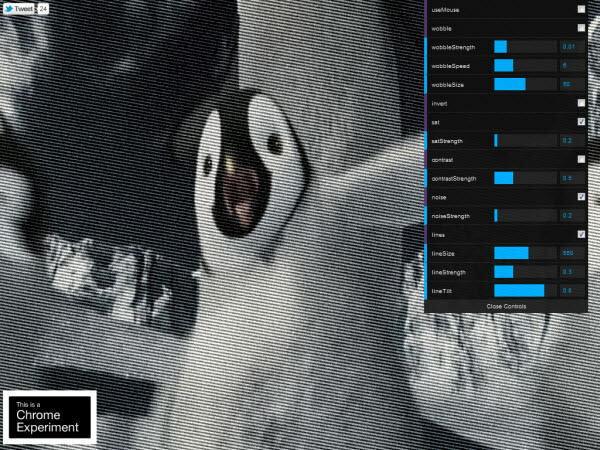 Impressive app done by Daniel Pettersson that allows you to apply multiple simultaneous postprocessing effects to a Happy Feet 2 trailer. Try and have fun! 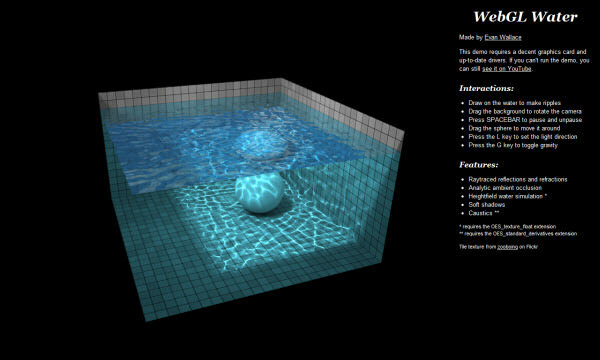 3D representation of the classic 2D water effect algorithm, also shows you how interactive WebGL is. 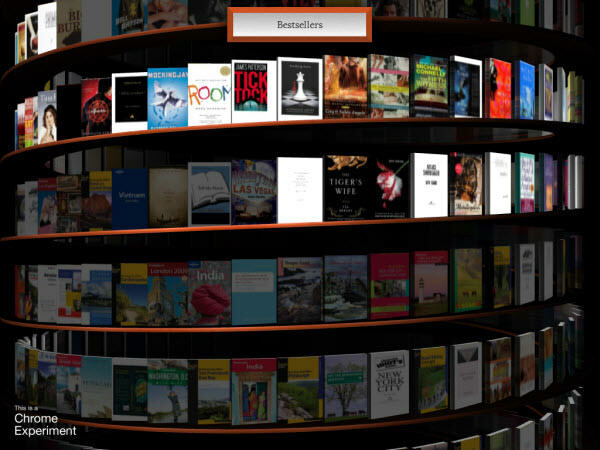 Browse over 10,000 book covers with this WebGL Bookcase, developed by the Google Data Arts Team. You can also search by subject, open a 3D model of each by clicking it, and download books on your phone with the QR code. 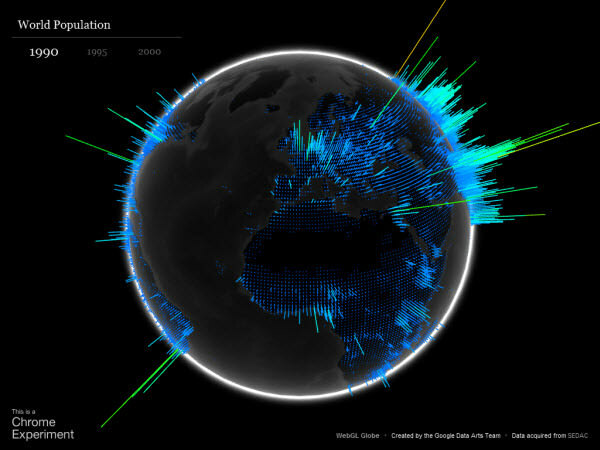 A cool Google team’s experiment that actually makes you feel like you’re in the future with its beautiful, elegant and futuristic data visualization. 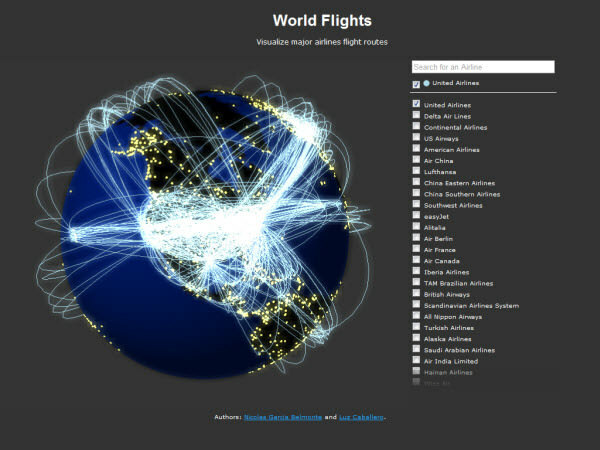 Another visual-appealing data visualization app that visualizes major airlines flight routes, looks promising! 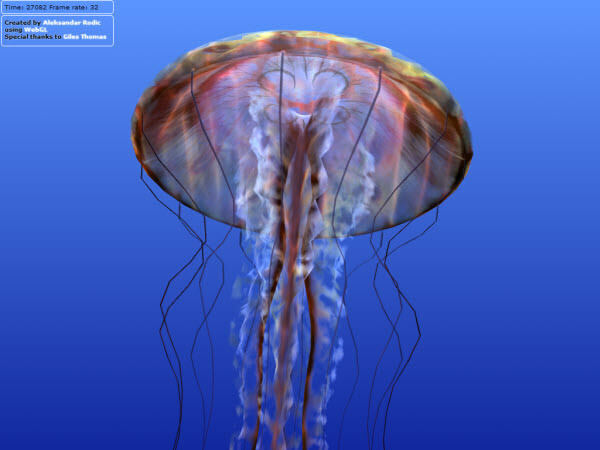 Graphic editor application with WebGL? It’s never impossible. Best of all, it’s fast and smooth! The biggest issue that WebGL faced, is perhaps its security. 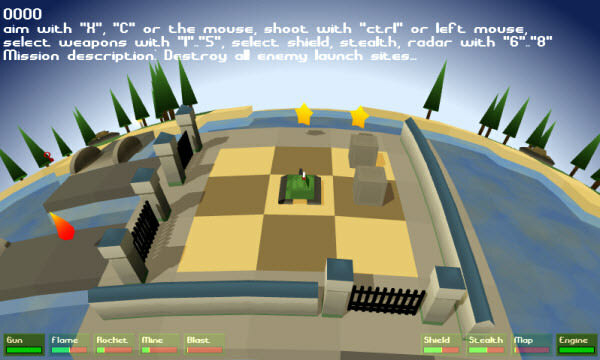 According to the Wikipedia, the United States Computer Emergency Readiness Team (US-CERT) issued the warning that WebGL contains multiple possible security issues which might lead to arbitrary code execution, denial of service and even cross-domain attacks. This means very, very much to the website’s owner. However, the Khronos Group which includes Mozilla and Google has been suggesting possible solutions and future development approach to strengthen the security against the possible security threats. Hopefully the issues can be decreased and even be solved in the future, as the WebGL has so many possibilities as showcased by the talented and professional developers! Let us know which experiment amazes you the most, and of course, show off to us if you got one!